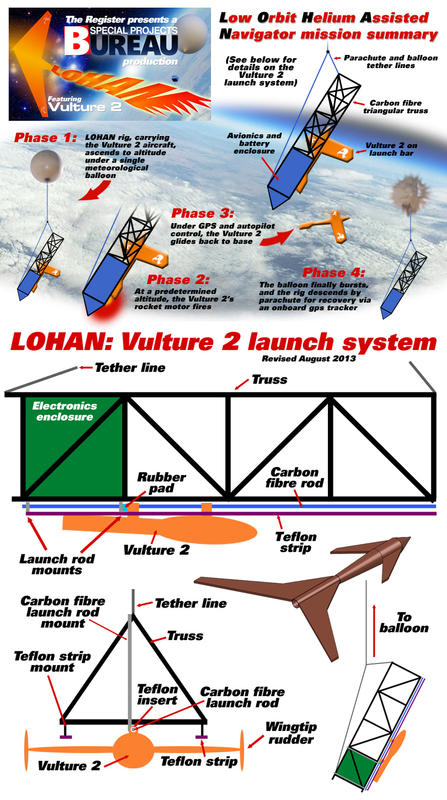 Back in October, the Low Orbit Helium Assisted Navigator (LOHAN) team welcomed our magnificent Kickstarter sponsors to Vulture Central, and among those who rolled up to be frisked by security at the door were representatives of London-based IT support firm Lucidica. With fighting livers at the ready, the company's Laurent Boncenne, James Browning and Thomas Jeffs (pictured from L-R) braced for a mammoth session of merriment, which concluded rather messily at a local boozer with all three commendably among the last men standing. Before things completely degenerated, CEO and founder Thomas was sufficiently composed to deliver the obligatory blurb, viz: "We’re Lucidica, the IT department for small business. Our friendly team work with SMEs across London, providing total technology solutions, from computers, servers and websites, to mobile devices and SharePoint sites. "In particular we love the latest and greatest that technology has to offer. 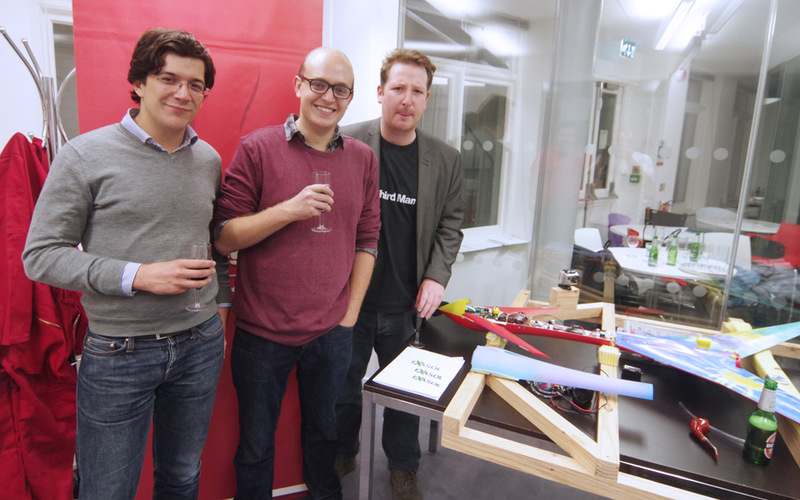 So when we heard that El Reg was working on the world's first rocket-powered, 3D-printed aircraft; we simply had to get involved." Quite so. 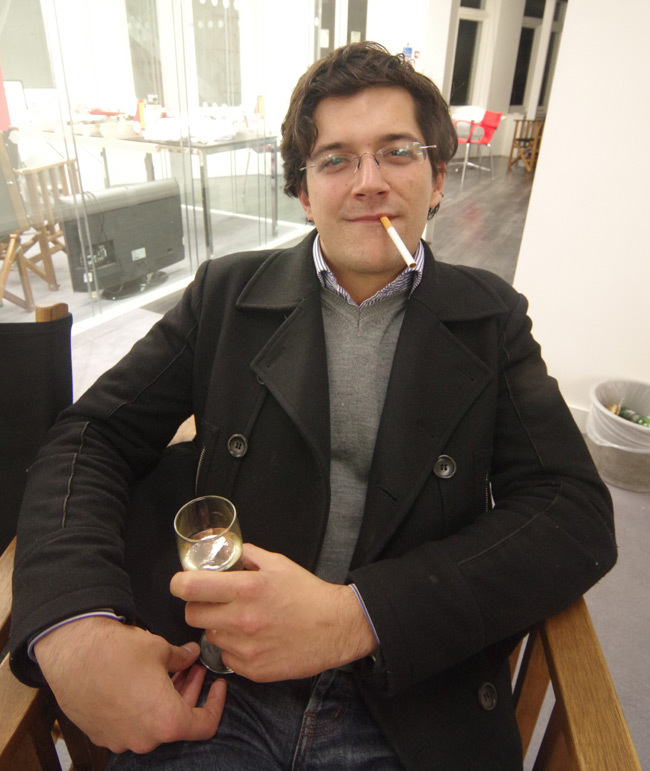 As the liquid refreshment flowed copiously, the topic of conversation turned from IT support to Lucidica business development head honcho Laurent, whose somewhat louche demeanour marks him as a proud son of France. Cue the obligatory joshing (Trafalgar/Agincourt/Waterloo, etc), countered by a robust defence from Monsieur Boncenne trumpeting the many advantages of hailing from the other side of La Manche. These include, we were informed, robust five-hour lunches of stuffed songbirds washed down with calvados, a natural talent for blocking motorways with lorries and burning tyres at the slightest provocation, and the ability to dismiss preposterous queries with a swift Gallic shrug and a Je ne sais pas.